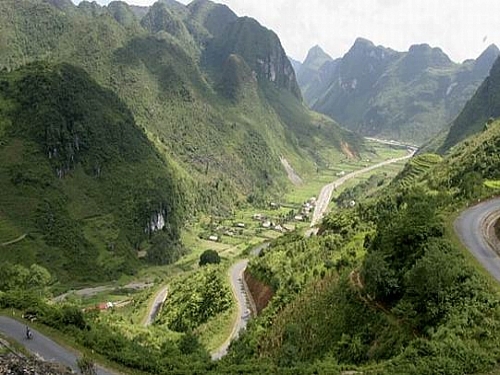 Ha Giang is the top province in the north of Vietnam, It is surrounded by Cao Bang on the east, Tuyen Quang on the south, Lao Cai, and Yen Bai on the west. 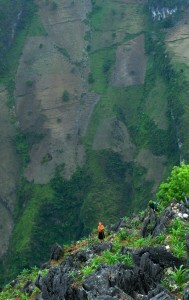 It shares a border with China in the north (274km boundary). Locating at the highest latitude in Vietnam, Ha Giang offers plenty wonderful mountain routes for motorcycle touring. 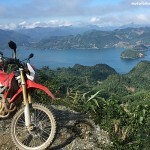 The province is about 320 km away from Hanoi. 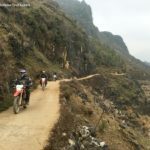 Coming to Ha Giang, tourists are attracted by imposing Dong Van Rock Plateau, Me-Pi-Leng pass, Love Market of Khau Vai and colorful culture of the local hill tribes. Tourists can buy embroidery such as handkerchief, haversack, and dress with colorful, fine pattern. They also take part in enjoyable market-day of local ethnics. The people and natural scenes here are unlike anywhere in Vietnam.